With so much information available around the clock and across devices, the ability to quickly understand what’s true and what’s false online is increasingly important. That’s why a year ago, we introduced a new feature called the Fact Check tag, as a way to show people when a news publisher or fact check organization has verified or debunked a claim, statistic or statement. Today, thousands of fact check articles appear on Google in Search results, on Google News, and across the open web. Fact checking articles—when a journalist looks at one single statement or issue and either verifies or debunks it—is important in today's climate because it helps readers better understand viral news stories and relevant issues. 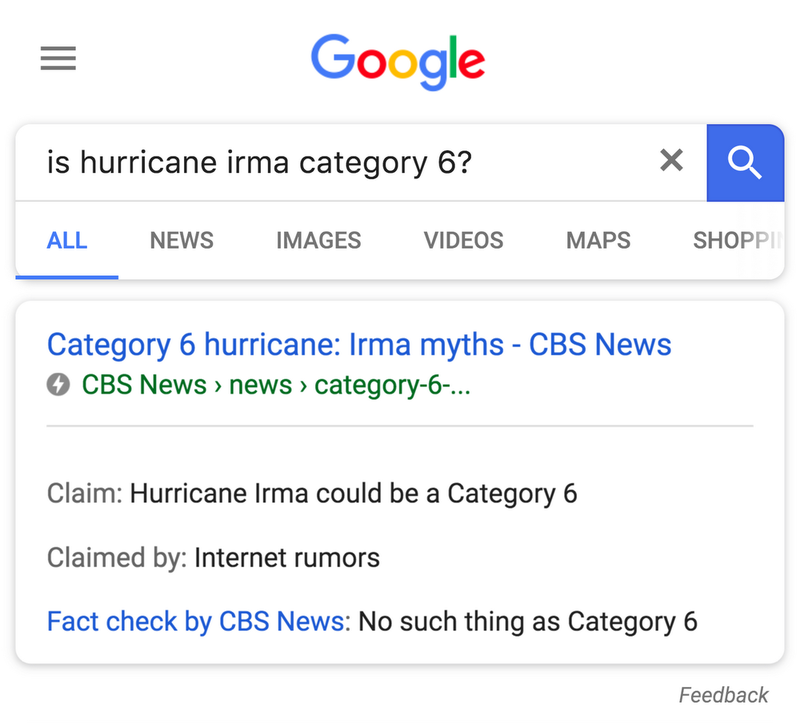 That’s why we’re supporting the organizations who do the hard work of fact checking so that we can make it available in Google Search. Today we’re announcing a new partnership with the International Fact-Checking Network (IFCN) at The Poynter Institute. As a nonpartisan organization, IFCN is committed to promoting excellence in fact checking and building a community of fact checkers around the world. IFCN has developed a widely accepted Code of Principles for fact check organizations. Signatories range from the Associated Press to the Washington Post, PolitiFact and Factcheck.org, to Correctiv (Germany), Aos Fatos (Brazil), and Africa Check. Increasing the number of verified fact checkers through a combination of efforts, ranging from holding global fact check workshops to offering coaching and stipends for new fact checking organizations. Ultimately, these partners can help make sure that the content on Google Search and Google News has been accurately fact checked. Expanding fact checking to more regions by translating the Code of Principles into ten languages and ensuring credible fact checkers can apply to participate in the IFCN community. Through partnerships with organizations like the IFCN, we hope this gives people a better understanding of the information they are about to click on online.